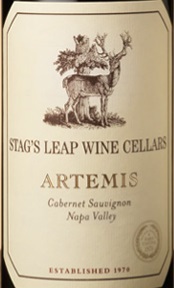 The 2016 ARTEMIS Cabernet Sauvignon has expressive aromas of dark berries, currants, raspberry sorbet, nutmeg and baking spices. The wine has a rich entry with round tannins and plush mouthfeel with lingering flavors of dark fruit and subtle oak undertones. Enjoy this Cabernet Sauvignon with grilled tri-tip, braised short ribs, or pasta with wild mushrooms and prosciutto.